Most of us struggle to find balance in our professional and personal lives. The struggle to find balance can hurt relationships, health and happiness. The demands from both our personal and professional lives can make finding balance seem like an impossible goal. So, what is the goal of work-life balance? If you ask several people, you are likely to receive several different answers. In my experiences, I have learned that most people want at least 2 things from both their personal and professional lives: achievement and enjoyment. However, most people struggle to obtain either of the aforementioned goals. Some of us may find ourselves working 60-70 hours per week and not feel a sense of achievement or enjoyment. When this occurs we must stop and ask ourselves “Why?” What are you hoping to accomplish as a result of working long hours? Are you keeping your end in mind? When we struggle to connect with our “why” in relation to work, our personal lives will suffer; thus making it difficult to find balance in both facets of our lives. Work-life balance does not require us to find an equal balance such as scheduling an equal number of hours for our work and personal activities. Work-life balance is the proper prioritizing between career and lifestyle (health, pleasure, family, and spirituality/religion). This balance will vary over-time. The right balance looks different for each individual. The right balance today may change tomorrow. The right balance when you are single may change when you marry and have children. Remember we are not striving for perfection, but searching for the tools to combine a sense of achievement and enjoyment in our careers and personal lives. Leave work at work: We devote over 1/3 of our lives to work. The time we invest into work also includes preparation for work, the commute to and from work as well as time spent ruminating on the work day long after work is complete. In fact, most of us probably spend more time with our colleagues than we do with our families. If you find yourself feeling emotionally and/or physically drained from over-working, look for ways to re-arrange your work schedule, do not take work home (if you work from home, designate an area from work and use it only for work), schedule time off. Rest and Recuperation (R&R): I used to subscribe to the sayings, “I’ll sleep when I die” or “No one ever died from lack of sleep.” While we may not actually die from being “sleepy,” our bodies need adequate rest to heal and recuperate. Just as our smartphones, laptops and iPads need recharged; so do we! Do not wait until your battery is in jeopardy of dying. If you are working, do not wait for your boss to suggest that you take time off. You are in charge of your self-care, take the time off and do not feel guilty. If you are an entrepreneur, it is okay to take a day off to take care of yourself. Remember, you are no good to anyone else if you are drained. Is it fair to your customers to experience the “burned out version of you?” Don’t they deserve you at your best? Let go of perfectionism: Most perfectionist tendencies are developed during the school age years when the demands of life are limited to hobbies, school and maybe a part-time job. As we grow older and gain more responsibilities, life becomes more complicated making perfectionism impossible to maintain. If this habit is left un-checked, it can lead to burn-out and become destructive. Remember, striving for perfection is an unrealistic goal but striving to do the best you can with what you have is attainable. Exercise/Meditation: When our schedule gets full, exercise is usually the first to get pushed to the bottom of the priority list. We make time for many other important things to our health such as eating, sleeping and going to the bathroom. Exercise is just as important to our heath and has other benefits such as excellent stress reducer and “anti-depressant” (release of endorphins). Taking into account that time plays a huge role in whether most people choose to incorporate exercise into their schedule; you can take the stairs instead of the elevator, park a few blocks away and walk to your destination or take a walk during half of your lunch break. Other self-care practices can include yoga, quick breathing sessions in the morning and before bedtime. Remember, we only have one body to live in and we must treat it as such. Limit distractions: This can include activities and people. Social media can be one of the best marketing tools and one of the biggest distractions. If you find yourself spending countless hours browsing social media networking sites yet tasks fall incomplete; it may be time to monitor the time you spend on these sites. Are the people in your life assets or liabilities? Do the people in your life drain you? Take the time to reflect on your top 3 distractions and ways you can limit those distractions. What changes can you make today? As creatures of habit, we are comfortable in our daily routines. It takes great discipline to maintain a daily routine. However, it is quite difficult to recognize when the routine is no longer effective and change is needed. If your current routine is adding stress; how can you lighten the load? Do you consistently over-book your days? What tasks can you delegate or outsource? Sometimes, a minor tweak in our routines can be the change we need to help us find more balance in our lives. Improving work-life balance is one of the most challenging tasks faced by many. When making any changes it is imperative that we start small, celebrate the small successes and continue to build. 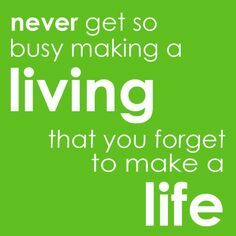 If you or anyone you know is struggling with finding work-life balance contact us at vitaminchealing@gmail.com. Last week I had the pleasure of being invited as the keynote speaker at a women’s conference. I was charged with captivating an audience composed of diverse, wise, sophisticated, spiritual and compassionate women. I was honored, excited and slightly nervous as this was the first time I was asked to be the keynote speaker for an event. I would not allow my fear to overtake this moment as I had powerful and life-changing information to share with this beautiful group of women; and I am not a hoarder of information. Framing is seeing the world without distortions. It is not putting on our “rose-colored” glasses and being oblivious to what is happening around us. It is merely viewing life through a different lens and being open to seeing things differently. How can positive framing improve your quality of life? One of the main differences between successful and unsuccessful people is the way they view the world. Successful people see opportunities, while unsuccessful people see problems. When we utilize positive framing, we can see the facts in the clearest light. We will not allow negative feelings to distort our view of reality. We widen our lens to gain the strength and clarity to face the problem and find solutions. I remember how tough the transition was for me from high school to undergraduate school. I felt unequipped with the tools needed to be successful in undergraduate school. My peers had a slight advantage over me as they took college prerequisites in high school. I’ll never forget meeting with my English professor during the first semester of my freshman year. She told me that I would have to work really hard to graduate and she was not sure if I had it in me. At the time, I almost believed her and even questioned if I belonged in college. Sure, I graduated from high school with high honors, rarely studied and had tons of success; but college was new territory. I had poor study skills and struggled with the transition to college throughout the first semester. To my “surprise,” first semester grades reflected my struggles. I was placed on academic probation and in jeopardy of flunking out of college. My parents were surprised and disappointed. I was disappointed in myself. Then 2 things happened. I remember my English professor presenting me with the challenge to graduate college and my dad gave me 2 options, return to school and improve my grades or withdraw from school and get a job. I had the entire semester break to reflect on what would be a life changing decision. I chose to return to school and hit the ground running. Instead of being intimidated by my peers, I joined their study groups and picked their brains. I wanted to learn what they learned. If you want to be successful, spend time around those more successful than you. I had a big piece of humble pie over the semester break and I was okay with not being the smartest person in the room. As a result of my humility and hard work, I found myself on the dean’s list nearly every semester and graduated with honors in 4 years. I do not share this story to impress anyone with my accomplishments, but to press upon you how a shift in thinking can change our lives. Remember, life is 10 percent of what happens to you and 90 percent of how you respond to it. How are thoughts, self-talk, actions and habits connected? If you watch television, what are you watching? How do you frame setbacks? Who do you spend the most time around? How do they impact you mentally and spiritually? 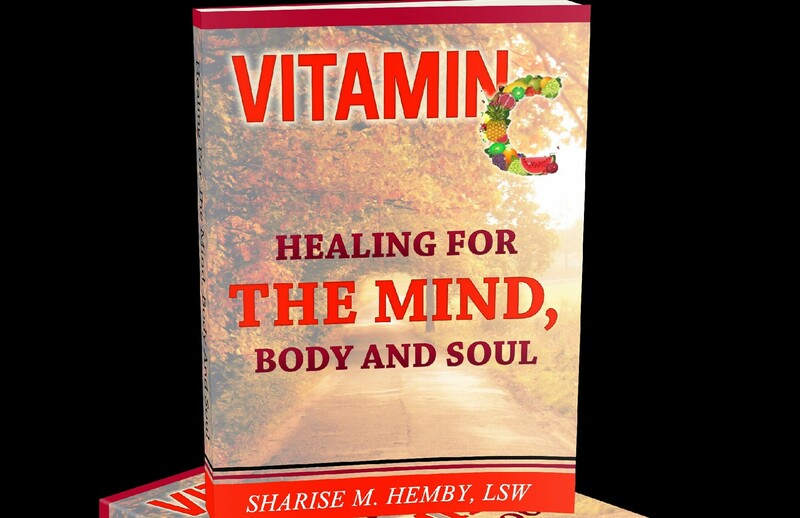 For more self-reflection, check out Vitamin C: Healing for the Mind, Body and Soul: The Healing Workbook here. Be careful how you talk to yourself because you are listening. Do you speak life into yourself? What is the first thing you say to yourself when you wake up in the morning? Are you thankful? Do you practice positive self-talk (prayer, recite daily inspirations, etc)? Or, do you practice self-defeating talk (I hate my job. I hate my boss. I have too many bills and so on)? Imagine the direction your day can take by your choice in positive self-talk or self-defeating talk. Framing also includes unlearning self-destructive behaviors. If we have been accustomed to negative thinking and self-defeating talk, it is highly likely that we will engage in self-destructive behaviors. Undoing these behaviors will take some time as these behaviors were not learned over night. If we are committed to unlearning these behaviors, we must take action by having the courage to broaden our lens and remain flexible in our thinking which will impact our self-talk and actions. Our actions are based on past learning experiences. Raise your hand if you ever failed a test! Most of us experience an unsettling feeling in our stomachs when it’s time to take a test. Some call it test-anxiety. Our fear of failing another test is based on past experiences, and may affect how we take action, or if we take action. People who are discouraged and struggle with limited mind-sets tend to live in their fears. When we can reframe our experiences, we see the world differently, allowing us to pursue opportunities. In other words, feel the fear and do it anyway! Habits-doing something religiously day in and day out. A regular practice that is hard to give up. Good habits can include looking both ways before we cross the street, bathing, practicing awareness of your negative thoughts throughout the day, taking a few minutes per day to express gratitude. Framing is an approach utilized in Cognitive Behavioral Therapy (CBT)-a goal oriented, short-term therapeutic approach used in psychotherapy to challenge one’s distorted thinking, inviting individual(s) to change thinking and behavior patterns that are keeping them stuck. We use this approach at HandinHand Counseling Services, LLC, and click here for more information. Framing is hard work. By no means am I trying to simplify this process. In order to get better and experience change, you must to set an intention to practice this approach to life. Remember, you are competing with yourself daily to be a better person. You are the wild-card. You have the power to make positive changes; if you desire. What are some ways that you can use framing to improve your quality of life? “Prepare for war in the time of peace,” was one of my late grandfather’s favorite sayings. In fact, he introduced our family to entrepreneurship and the concept of multiple streams of income. From the time I was in junior high school up until the day he passed in my mid 20’s; he poured a lot of time and knowledge into me about investing, saving, passive income and entrepreneurship. He was planting seeds, but I was not quite ready to apply this invaluable information. At the time, I did not realize he was providing me with “free training” that some of my colleagues pay thousands of dollars to attend. A few years after my grandfather’s passing, I was introduced to various home-based businesses that discussed similar wealth building principles that my grandfather often preached (multiple streams of income, passive income, investing, leveraging your time). Some people viewed the multi-level marketing home based businesses as pyramid schemes, but I viewed it as a way to continue the legacy in my family that my grandfather created. At the time, I was more focused on the short term gains, the money I did not make “yesterday,” what friends and family would think if I struggled or even worse-failed! I was so focused on these variables that I did not allot enough time for the fruits of my labor to unfold. My “why” wasn’t big enough and I gave up too soon. The only regret I have is quitting because I know that quitting guarantees failure. Creating multiple streams of income takes time, commitment, discipline, work ethic and investing (not spending) money. When creating streams of income, think of this process as if it were your retirement plan that you invest in with your employer (401K or 403B); you get out of it what you put into it. Imagine creating a passive income-income earned on a regular basis with little effort required to maintain it. Some examples include, but are not limited to royalties from writing a book, property income, income from traditional and home based businesses. No matter which avenue you choose you have to put in the work. Remember, the only place that success comes before work is in the dictionary. Short term sacrifices for long term success. Why is creating multiple streams of income important? It may not be your goal to accumulate wealth or to pursue early retirement from your career. However, I am sure we can all agree that time can be our biggest liability or our most valuable asset. It is the one thing we cannot get back. Most people struggle with time management. I often hear people say (myself included) “There are not enough hours in the day.” “If only I had more time.” Creating multiple streams of income will allow you to leverage your time. Most of us spend at least 8 hours per day and 5 days per week working. Some of us may spend even more time working and less time with our families. How many of us see our colleagues more than we see our families? If you’re like me, you love what you do and you would like to have more time to spend with your family without having to worry about loss of income. Other than spending time with our families, do you have a plan if life happens on life’s terms? What happens if you get sick and cannot be physically present to make money? If you’re a business owner, can your business run without you being physically present? What is your plan if you lost your job tomorrow? Have you thought about your retirement plan? The answers to these questions are intended to shed light on the importance of having Plan A-Z in order to prepare for the uncertainties of life. Traditional Business: My business partner and I started HandinHand Counseling Services, LLC; a private counseling practice close to 2 years ago. In a traditional business you wear many hats, especially in the beginning as you are attempting to keep a manageable overhead. The benefits of running a traditional business are the limitless possibilities. You get to decide if you want to wear every hat or outsource jobs and hire staff. You get to decide when your day begins and ends, you make the policies. The success of your business depends on you. Home based business: Most home based businesses involve multi-level marketing (mlm). Most people run in the other direction when they get approached about multi-level marketing opportunities. A lot of mlm’s get negative press due to people having bad experiences. There are mlm’s that work, but again, you have to work it. Find a home based business that makes sense for you and get a mentor/accountability partner. Real Estate: I have read that real estate is one of the best ways to produce passive income. Again, you will have to put in a lot of work up front which may include buying, repairing and renting properties. The short term sacrifice is the amount of work and money you will need to invest. The long term success is the cash flow rental properties can produce every month and freeing up time to spend with loved ones-leveraging time. Podcasting: I recently started my podcasting show, “The Vitamin C Show” which was a spinoff from my book; Vitamin C: Healing for the Mind Body and Soul, with the purpose of creating a platform for professionals and entrepreneurs to discuss their contributions to the community. Health and wellness, relationships, education, mental health, entrepreneurship and financial planning are amongst the topics discussed on the show. Starting your own podcast show is a great way to build your brand, market your business and collaborate with other professionals and entrepreneurs which can lead to passive income. Write a Book: The feeling you experience after completing your first book and seeing the finished product is surreal. Writing a good book is another way to produce a stream of income. If you are considering writing a book, write a good book and prepare a good marketing plan. Books do not sell themselves and writing the book is a fraction of the work needed to become an award winning and/or best-selling author. One of the most important things to consider when writing your book includes your target audience. What are the needs of your target audience? All of these categories involve some form of sales. I often hear people say, ‘I cannot sell’ or ‘selling isn’t for me.’ We sell ourselves every day! If you are employed, guess what, you sold yourself at your interview. Just remember people don’t want to feel sold, they want to do business with people they trust. Be you, remember the reason “Why” you are doing this and have fun. No one wants to work with someone who is too uptight. Although there are many other avenues for creating multiple streams of income, these were the few that stood out to me. I have learned the importance of creating multiple streams of income and my current streams of income include HandinHand Counseling Services, LLC, Vitamin C Healing for the Mind, Body and Soul, and health and wellness coaching with Herbalife. No matter which stream you choose to invest in, the common denominator in each area will be you. Nothing will work unless you work. What will YOU do to make it work?